272 pages | 24 B/W Illus. Fully updated, the second edition of Neuropsychology of Art offers a fascinating exploration of the brain regions and neuronal systems which support artistic creativity, talent and appreciation. This landmark book is the first to draw upon neurological, evolutionary, and cognitive perspectives, and to provide an extensive compilation of neurological case studies of professional painters, composers and musicians. The book presents evidence from the latest brain research, and develops a multidisciplinary approach, drawing upon theories of brain evolution, biology of art, art trends, archaeology, and anthropology. It considers the consequences of brain damage to the creation of art and the brain’s control of art. The author delves into a variety of neurological conditions in established artists, including unilateral stroke, dementia, Alzheimer’s Disease, Parkinson’s Disease, and also evidence from savants with autism. 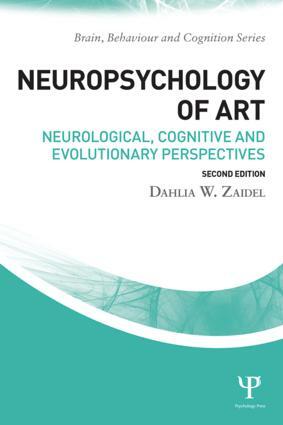 Written by a leading neuropsychologist, Neuropsychology of Art will be of great interest to students and researchers in neuropsychology, cognitive psychology, neuroscience, and neurology, and also to clinicians in art therapy.